If you’re looking to digitally transform a service business, simply mobilizing a workforce goes only so far. Mobile apps can certainly make field workers and service personnel more efficient. But if those mobile apps don’t integrate with the business’s front-end and back-end systems, those efficiencies will remain limited. The company will work much the same as before, only slightly more effectively. True digital transformation that dramatically streamlines processes, accelerates accurate data collection and decision-making, and improves customer service and business results takes sophisticated mobile apps that work as hard as mobile field workers do. That’s the problem that GBS Enterprises was looking to solve. The company provides a wide range of "protection" services to the furniture, mattress and bedding, pest control and hospitality industries. Its customers include many of the Top 200 furniture and bedding retailers throughout the United States. It was looking to increase the productivity of its field service workers as well as the rest of the enterprise. So it chose the Alpha Anywhere platform and Alpha Transform to mobilize the company’s business, including building front office and back office systems, a complete call center and service dispatch application, and mobile apps. GBS badly needed these new systems because of the sheer size of its business. It has a team of 200 operators receiving and logging customer requests, initiating work orders and dispatching field service workers responding to furniture warranty claims. Some days the Company needs to initiate, log and track over 300 work orders — and then make sure all the data from every call gets captured and sent through to the Company’s backend systems. Work orders had previously been filled out on paper, leading to wasted time and potential errors. Similarly, data was captured by hand on-site, and needed to be input later into the company’s systems by a second back-office worker. The data that was captured was very limited and included little backup material for service calls, such as photos of the furniture damage or issue. With Alpha TransForm, all that has changed. GBS has been mobilizing its field work by building mobile service dispatch apps using Alpha TransForm. Work orders that were previously on paper are now created with workers' smartphones. Technicians using the app are improving the data collection accuracy and depth, capturing images and scanning bar codes to initiate and processing claims. In fact, GBS realized an 80 percent increase in productivity in the field. Those benefits flow through the entire company because the mobile apps integrate with the business’s front office and back office system. The end result: An overall improvement in the company’s operational efficiencies and customer satisfaction. GBS realized an 80 percent increase in productivity in the field by using Alpha TransForm. GBS Enterprises is not alone in reaping big benefits for its field service workers using Alpha Anywhere and TransForm. 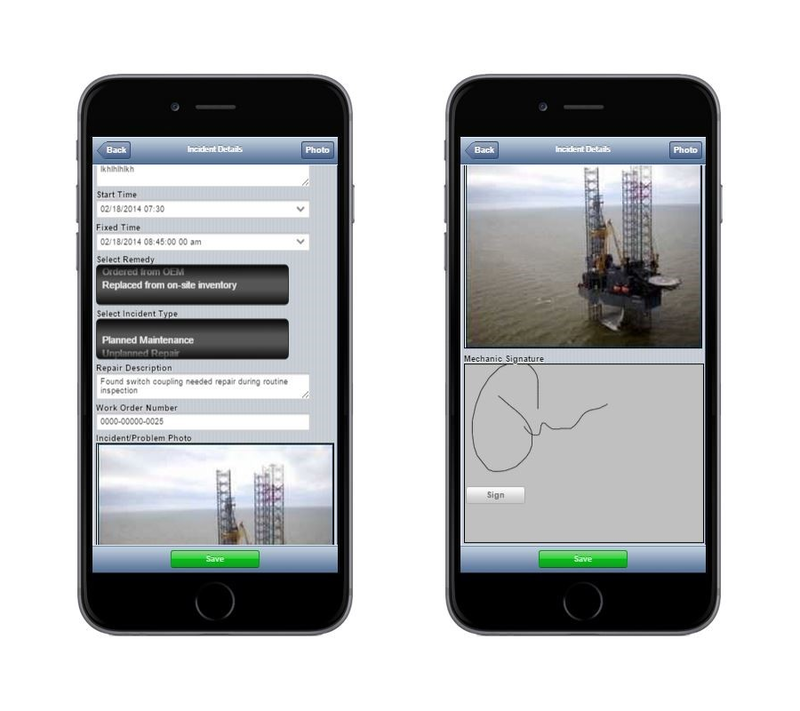 The Building Engineering Company, which does onsite energy inspections, used them to switch from paper-based inspections to mobile, digital ones. 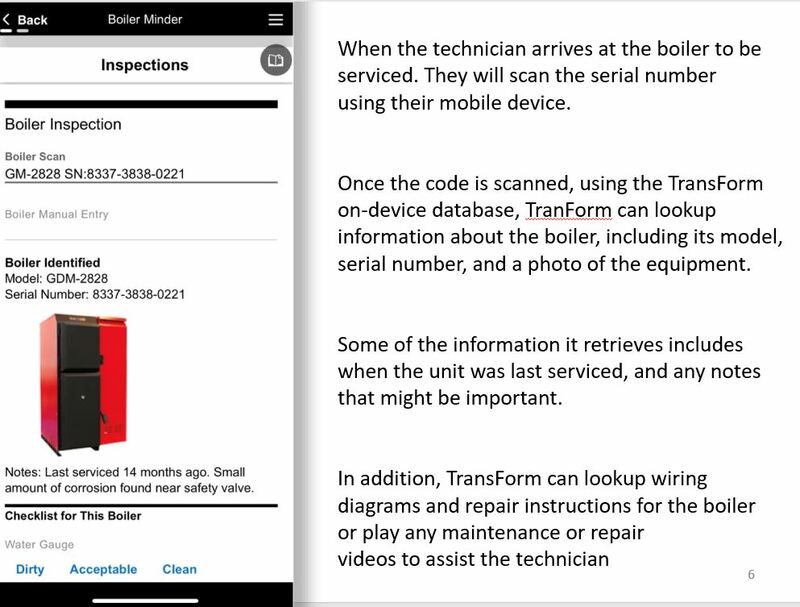 And you can read how an offline equipment inspection app built with Alpha Anywhere helped a company increase worker safety and data accuracy. Click here to Try Alpha Transform for Free! Start building apps in minutes. Free Inspection app template included.